sarasota Market Hotter than the Temps! Moving to Sarasota, Florida? You are in for a treat! Looking for a lifestyle that includes a casual approach with the ultimate in beach life and recreation on Florida rivers teaming with exotic wildlife? We’ve Got It. Looking for luxury beach real estate and a lifestyle to include the best of cultural offering s, plays, art, and dance? Sarasota, Florida has it all. As a vacation destination, this city has been at the top of the list and most recently was added to the top of Dr. Beach’s list. He has designated our own Siesta Key Beach the #1 Beach in the US. So many of our vacation visitors return over and over and eventually relocate to Sarasota. Recently Move Inc. reported Sarasota to be in their TOP TEN TURNAROUND MARKETS! Sarasota is still showing strong signs of a continued recovery in the real estate market. July 2012 sales of 699 was 16.7% higher than July of 2011. The expected drop after the Easter holiday was slight compared to years past and higher sales continue into the summer months. We again have seen a second quarter that was the best in seven years. July pending sales were higher in July, at 919, after a dip in June, at 860. Pending sales are a major indicator of future market sales totals. The median sale price for single family homes in July 2012 remained at a stable $178,000. This is 30% higher than the low of the market 16 months ago. The distressed market at 32.4% is still one of the lowest totals in the past 3 years. Sarasota’s available inventory dropped to a new DECADE low of 3.644 and is limiting buyer choices and raising prices and resulting in bidding wars. July figures showed 4.5% inventory for single family homes and 7.5 months inventory for condos. Our Canadian neighbors are seen as the strongest buyers in the international buying scene. 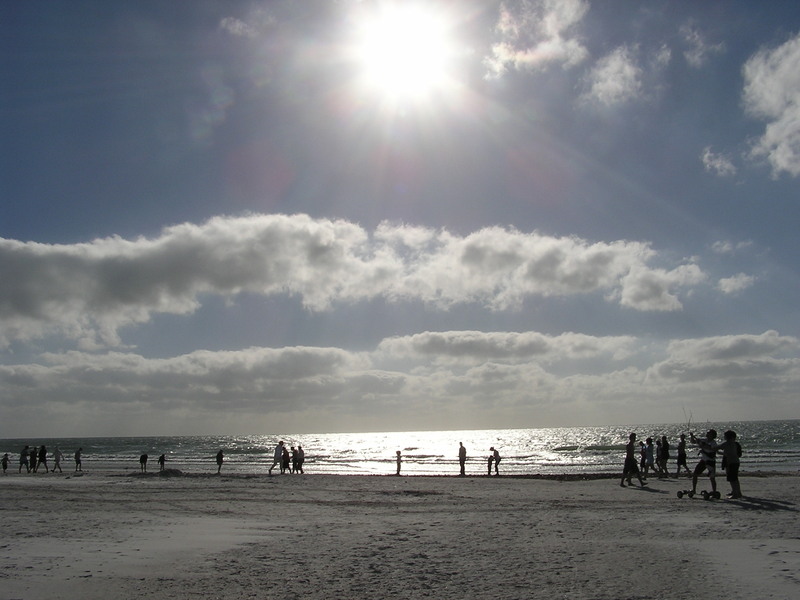 Our area with the pristine beaches and “not so hot compared to other places” temperatures are still drawing visitors to the west coast and to Sarasota, Florida. This area is a fabulous place to raise and educate a family. Recently the University of South Florida expanded its campus in Sarasota, Florida. New College and the newly renamed State College of Florida in nearby Bradenton and North Port offer educational opportunities that are unrivaled. Recently, New College was named by Princeton Review as the best value in public colleges in the US and Ringling College of Art and Design remains world-renowned. It seems there are always planned events for families of all ages and sophisticated singles. Sarasota Suze hi-lights fun and exciting events, places and people she finds and shares on Sarasota Next. Few communities offer affordable home values and a lifestyle that includes stellar educational opportunities, recreational venues with a climate that allows year round activity, and a cultural environment that provides endless ways to get involved and grow with the community. If you are looking to buy property in Sarasota, Florida – NOW is the time to buy! Previous Post Day of Hope in Sarasota, Fla.